The most important decision after who to marry is where to get married. Buffalo's brides and grooms have a dizzying array of venue choices — from rustic barns to vast banquet halls, from refurbished historic buildings to hotel ballrooms. Today, established banquet facilities and event spaces in the suburbs are investing in upgrades to win over couples in the face of competition from newer wedding venues in Buffalo. Call it the wedding wars. "There's an absolute glut of facilities," said Mark Fromholt, the veteran general manager at Samuel's Grande Manor, which is investing $250,000 in its Clarence facility. 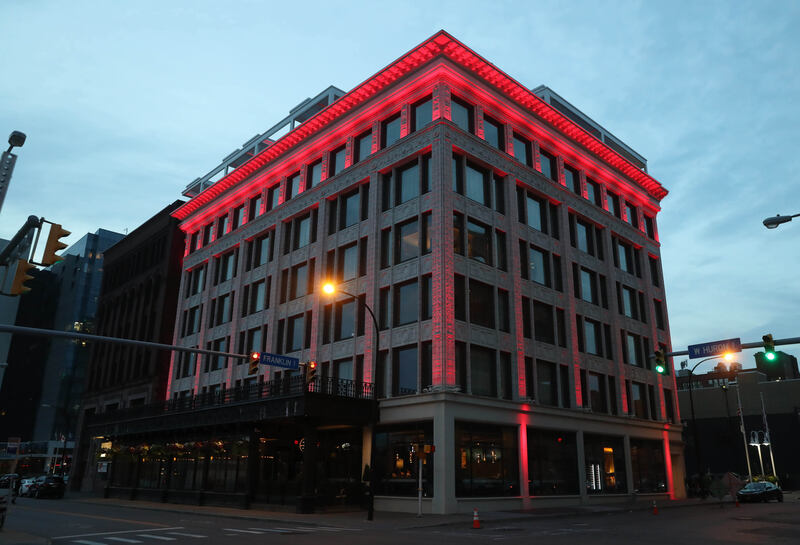 Hotel Henry, the Curtiss Hotel and 500 Pearl are just three of the venues that opened in Buffalo in the past two years, following Statler City and the Hotel @ The Lafayette. With the region's population holding steady in recent years, the newest venues join a crowded matrimonial marketplace battling over the same number of engaged couples. In response, 40-year-old Samuel's in Clarence is updating its look in an overhaul meant to appeal to modern brides and grooms. Also, the business is taking two of its six banquet rooms offline — with the idea of converting them to apartments instead. And Buffalo Marriott Niagara in Amherst, as another example, is highlighting its ability to serve the Indian-American community and couples that desire a Kosher reception. "Especially young wedding couples, they're looking for a venue that is different, or new," said David Chiazza, executive vice president of Iskalo Development, which is opening its 200-seat Reikart Ballroom in Snyder this summer. "That's certainly good for the first year or two. Once you've been around for a couple years and the newness wears off, then you have to maintain it." The number of marriage licenses issued in Erie County fell by just over 1 percent over the last decade, to 4,751 in 2016, according to the most recent statistics from the State Health Department. That means the rising number of wedding venues is fighting over a pool of brides and grooms that isn't growing. But experienced event planners have noticed other changes. Weddings are smaller today, with those at Samuel's averaging 130 to 140 guests now compared to 180 to 190 in the past, Fromholt said. In cases where the couple doesn't live in Buffalo, especially, their out-of-town friends and co-workers are less likely to attend than acquaintances living locally. "It has an impact on the guest list," Fromholt said. Still, couples nationally are spending an average of $29,200 on their ceremony and reception now, or $230 per guest, Wedding Wire reported, so there's a lot of money up for grabs for the wedding venues and vendors. Downtown Buffalo's rebirth over the past decade or so brought new apartment buildings, hotels, restaurants and event spaces. The venues are a mix of new construction and revivals of historic buildings. Some offer sweeping views of downtown and promise the height of luxury — at a price. Pearl Street Catering manages events at the Pearl Street Grill, Lofts on Pearl and Hotel Lafayette, said Diane Gawel, who works in catering sales for the company. Between 2013, the first full year all three were open, to last year, the number of weddings hosted rose 47 percent, from 337 to 495. "We get families," Gawel said. "They like our pot roast. You'd be surprised how many people say that." It's not for everyone. "We have those older guests who call to complain about the parking," Gawel said. The newest of the downtown venues is 500 Pearl, a mixed-use building that opened earlier this year. Ellicott Development Co.'s 500 Pearl has booked its first weddings for spring or summer, said marketing manager Caitlin Krumm. 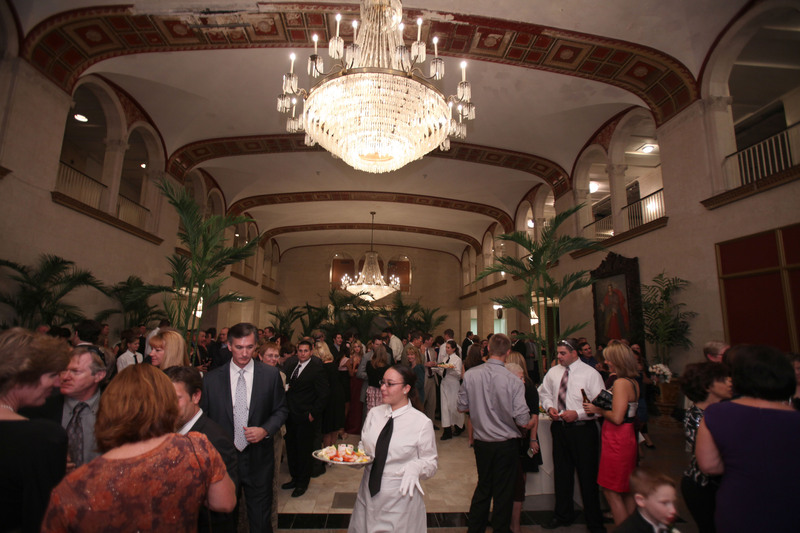 The venue has eight rooms that can host receptions, ranging in size up to 565 people. "We're going to be a little more of a higher-end experience," said Krumm, saying the venue will offer modern, luxury finishes and more food choices on its menu. Outside the urban core, options range from spas and resorts to castles and fire halls. But the mainstays are the large banquet facilities and hotels that have served happy couples for decades. They include newer venues, such as Iskalo Development's Reikart House and Jazzboline restaurant complex in Snyder. The Reikart Ballroom will start hosting weddings after July 1, said Chiazza. 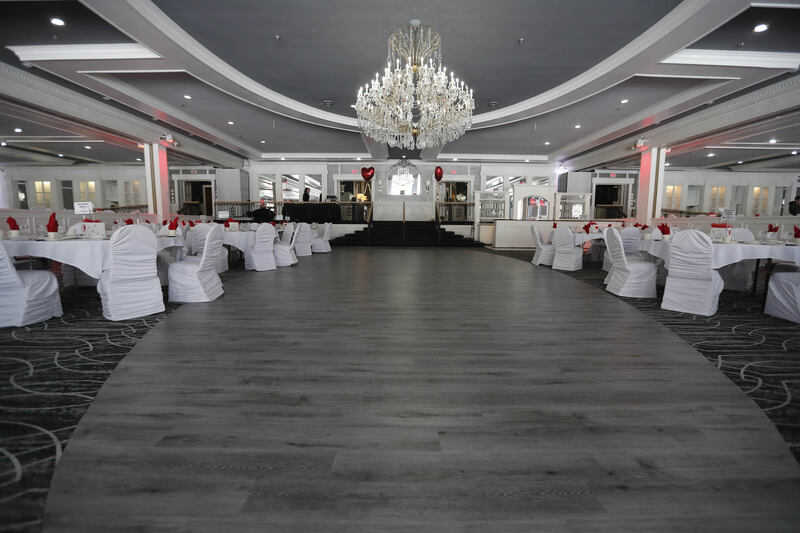 Chiazza said the company believes there is a need for banquet space in the Northtowns, though the large, established venues such as Salvatore's Hospitality offer stiff competition. "We're not trying to compete head-to-head with Salvatore's. They're a completely different business model," Chiazza said. Salvatore's Hospitality in Lancaster is part of a complex of hotels, a high-end restaurant and banquet rooms on Transit Road, including the rebranded Salvatore's Italian Gardens. Salvatore's, which opened in 1965, can host as many as four weddings at once on busy Saturday nights in the summer, said Kate Tolley, a wedding and event coordinator there. The facility hosted 90 weddings last year and tries to position itself as offering white-glove service at a reasonable price. "We are endlessly classic," she said. "We are a well-oiled machine." With new venues opening seemingly every day, Tolley said, Salvatore's tries to balance its experience and tradition with changing interests of couples. "We always say, 'It isn't where your mother got married,' " she said. Samuel's Grande Manor in Clarence was under construction during the Blizzard of '77. It opened a year later, and Fromholt started working there in 1985. Samuel's has always tried to change with the times, but over the past year ownership decided to invest in upgrades to give the venue a fresher look. That work, Fromholt pointed out on a recent morning, included new carpeting, new tiled bar backs, new plank-style dance floors in gray and a fresh coat of paint on the ceiling. The grays and whites in the three main rooms replaced the old golds and burgundies. "My daughters would tell me, 'Dad, that's old-man carpet,' " Fromholt said. But Samuel's is going further in shutting down its two, second-floor banquet rooms after this month. Fromholt said it's a matter of efficiency and ensuring proper staffing for the venue. In addition, Samuel's has filed paperwork with Clarence seeking permission to convert the two upper rooms into six apartments and to build enclosed parking and storage space. 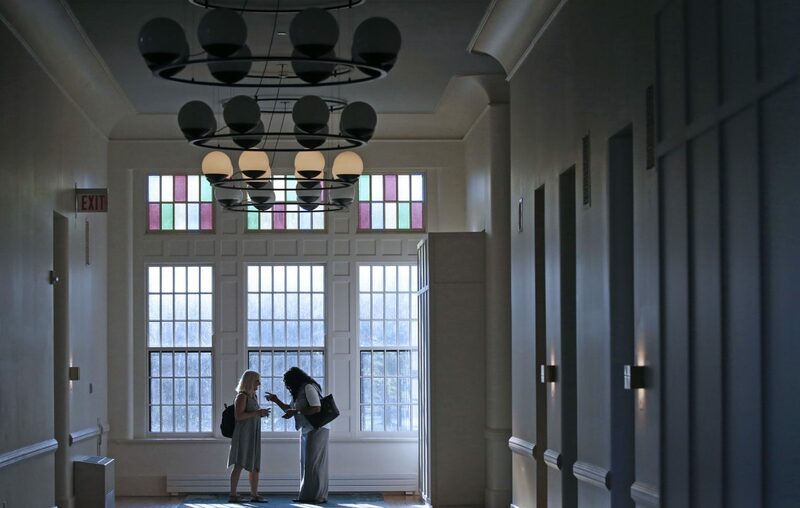 Fromholt said Samuel's original plan was to include apartments, but they either never were built or were used only briefly before the upper floor hosted a seafood restaurant and, later, the event space. "They've decided to go back to the future," Clarence Supervisor Patrick Casilio said, adding of the challenges facing Samuel's and other venues, "The kids are all going downtown." Fromholt said the project is far from certain and is the subject of "internal debate." "People hear apartments, they think Samuel's is closing," something that's not true, he said. The Buffalo Marriott Niagara, which opened in 1983 on Millersport Highway in Amherst, already has tried to pivot as it faces challenges from other venues. The Amherst hotel can host weddings for up to 600 people. Theresa Erickson, the catering manager, said the Marriott brand still is a strong one for brides and grooms and others who want to hold events, but the Amherst hotel is no longer the only Marriott in the area. The hotel is targeting the local Indian-American community and members of the Jewish community who keep Kosher. She said the hotel's chef has created an Indian wedding menu. "We are starting to specialize in ethnic weddings, and being in this area that's a very strong market," Erickson said. Within the next 18 months, Marriott will begin improvements to the hotel, including its ballrooms. Veteran wedding planners say prospective brides and grooms have a big decision to make when it comes to selecting the right venue for them, with price being a key consideration, but not the only one. One local couple, Todd and Marina Salansky, got married in July 2017 at the Niagara Crossing Hotel and Spa in Lewiston. Todd Salansky said they had special requests that Niagara Crossing and their planner, Nicole McCoy, took in stride. Salansky, a small-business owner, said he and his wife also used the space as a staycation for a couple of days in lieu of a honeymoon. "We were looking for a beautiful place, preferably close to water. Todd Salansky said. "Not a banquet hall that was a ticket counter-type wedding. We didn't want to be, 'Next, next, next.' "